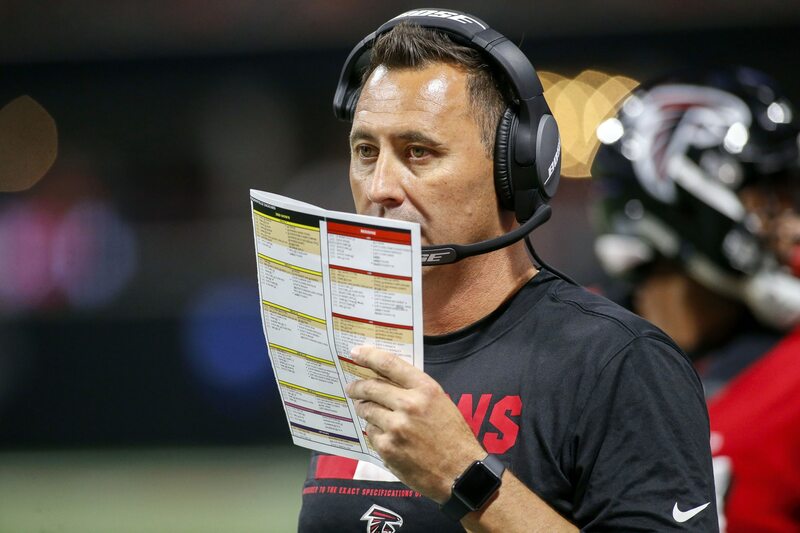 The NFL season is underway and Atlanta Falcons offensive coordinator Steve Sarkisian is already in midseason form. After Julio Jones racked up 43 yards on the opening drive to set up Atlanta’s offense inside the 10-yard line, Sarkisian’s disastrous red-zone decisions came back to cost the Falcons once again. Just one yard shy of the end zone, Atlanta failed to move the ball a single yard. Even more embarrassing, Jones wasn’t on the field for the play on the team’s third or fourth down attempt. Twitter immediately ripped Sarkisian to shreds for his disastrous decisions that cost Atlanta its first points of the 2018 season. Sark picking up where he left off. Julio does all the dirty work to put the Falcons in scoring position and he pulls his Redwood tree two downs within sniffing distance. Dumb. Dumb. Dumb. Julio doesn't score enough Touchdowns? Is it because he is taken out of the game for 3 plays at the goal-line for a FB and 3 TEs? Gracious.